This is Rugby. At the time the video was shot, he was only a few months old. He has never seen an ice cube before and is naturally apprehensive. 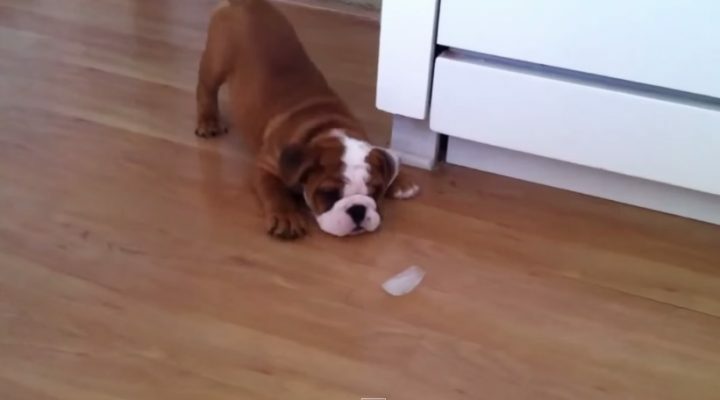 He tries several moves to see if the ice cube is dangerous and lets out a few barks to let it know that he means business. 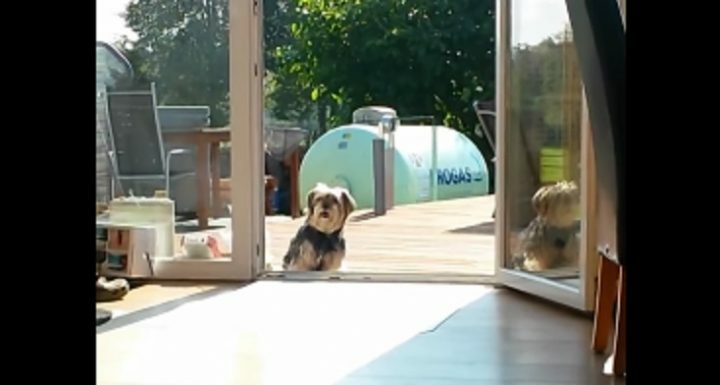 This Dog Will Not Enter The House Until His Owner Opens An Invisible Door… Hilarious! This terrier has the funniest habit ever. He won’t enter the house unless his owner pretends to open an invisible door for him. No matter how many times his owner calls for him, he won’t budge. Notice there is a treat in the middle of the floor. They try to persuade him to come in for it, but even that doesn’t work. We can’t explain this odd behavior but we do know that it’s hilarious. Dethan is a Landseer who loves relaxing in a nice big bowl of water. He has been doing it ever since he was a pup. 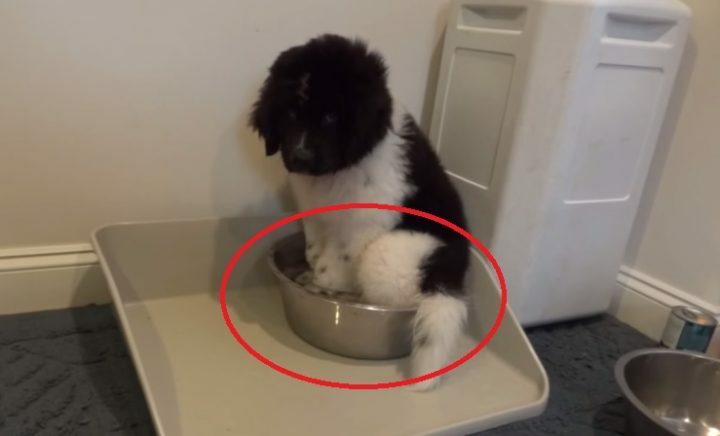 After he turned 13 weeks old, his owner decided to give him an upgrade to a bigger bowl. Watch as Dethan doesn’t skip a beat when becoming accustomed to his newer, bigger bowl. 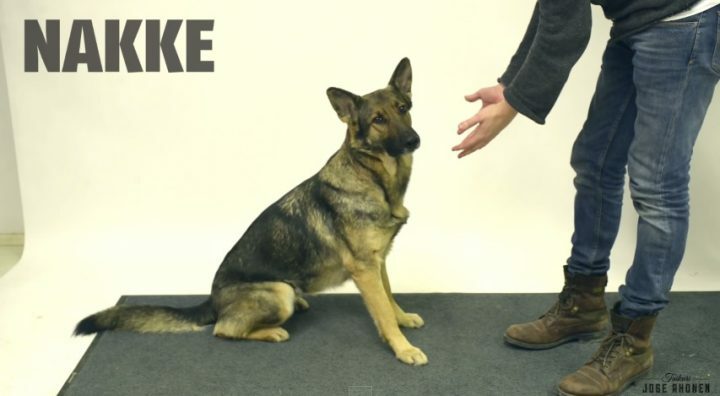 See What Happens When A Magician Makes A Dog’s Treat Disappear! Jose Ahonen is a magician and mentalist who decided to play a trick on some unsuspecting dogs. He wanted to see if dogs could understand the complexity of magic. Instead, he got the best reactions to magic we have ever seen. Some dogs just stood there in shock, others ran away because they were afraid, while others became aggressive because they really wanted that treat. This Bulldog Just Wanted An Indoor Pool… Watch What He Does To Get One! 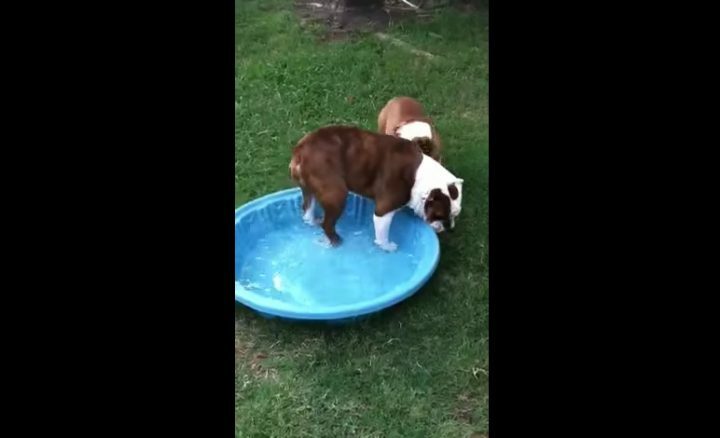 Meet Gus, a bulldog who just received a brand new outdoor swimming pool that he could use to cool himself off on a hot summer day. You Won’t Believe What This Guy Was Caught Doing With His Dog In His Underwear! This is definitely not the first time he has done this with his dog. This is what happens when you have too much time on your hands. His wife was able to record all of this without either of them noticing. 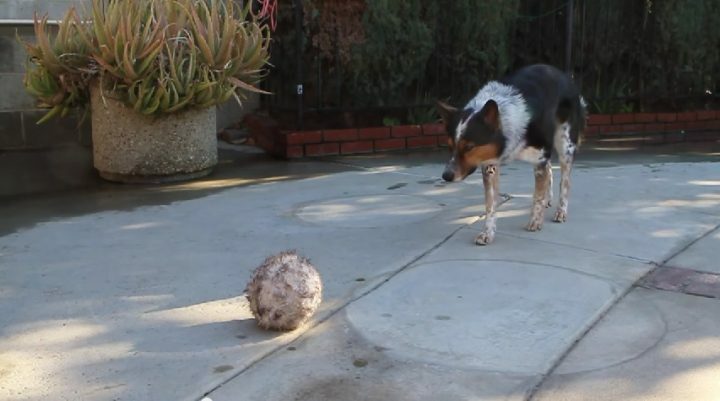 This Adorable Corgi Never Leaves His Teddy Bear… Even To Play Fetch! 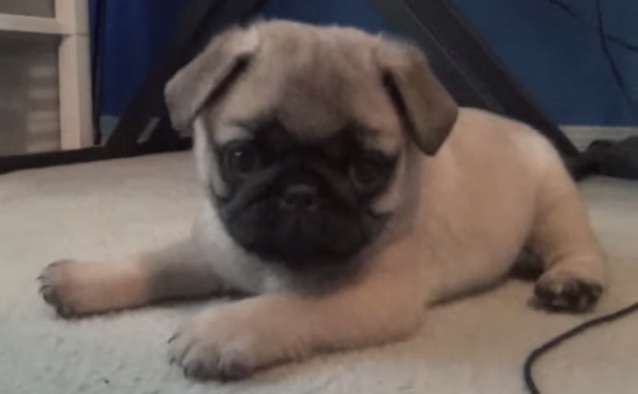 This has got to be one of the cutest videos ever in the history of the internet. 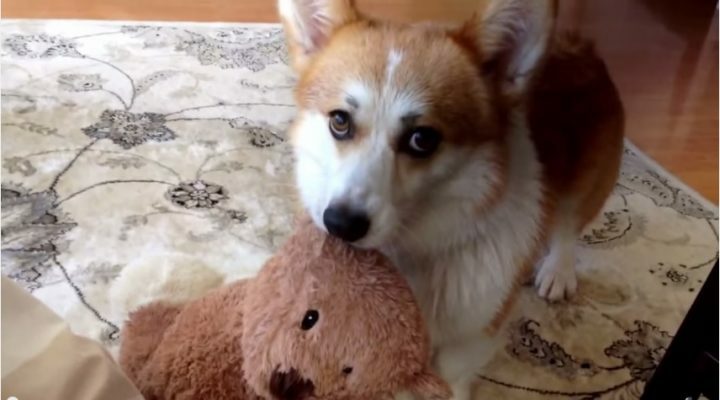 This adorable corgi named Yuki loves his stuffed teddy bear so much that he never lets it go. 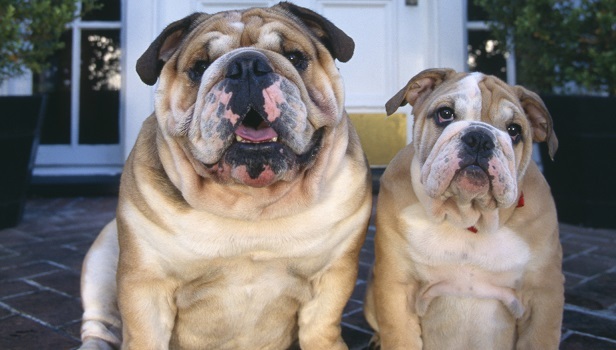 All our lives, we’ve been told that purebred dogs are much more valuable and better to own. People pride themselves on having a dog that is a pure breed. Well guess what? We have been wrong this whole time. Share this newfound knowledge with any dog lover you know. This is Jumpy. He is a cattle dog that was trained by one of the best dog trainers in the world. We have never witnessed a dog trained as well as Jumpy. The routine that he was taught is remarkably complicated. Could your dog do that? Don’t miss the ending where Jumpy finally gets what he wants!